Dr Alex Southern, University of Wales Trinity Saint David, reflects on a post-war government ‘experiment’ in visual education, and its relevance to today’s moving image media literacy agenda. 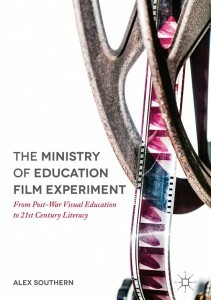 About the Author: Dr Alex Southern is author of The Ministry of Education Film Experiment: From Post-War Visual Education to 21st Century Literacy (2013). She originally trained as a film archivist, and worked in the Commercial Access Department of the Imperial War Museum Film and Video Archive before becoming Head of Learning at the Yorkshire Film Archive. She also worked as a consultant to the British Film Institute and UK Film Council to develop national strategies on film/archive education, before completing her PhD in Education with the University of Nottingham in 2013. November 2016 saw the launch of the BFI’s new strategic plan (BFI2022) a document that outlines the organisation’s aims for supporting UK film over the coming five years. These aims are broad and wide-reaching, matching the remit of the BFI. However, much of the focus remains the same in 2017 as it did in 1933 when the organisation was first established, to ‘encourage the use and development of the cinematograph as a means of entertainment and instruction’. Indeed, you would be hard-pressed to find anyone – at the BFI or otherwise – describing film as a means of ‘instruction’ in the current age of digital media immersion. While the language may have changed, the role of film in education is still at the heart of the BFI. One of the central aims outlined in BFI2022 is to ‘develop a well-evidenced manifesto for film in the classroom … demonstrating the educational and cultural importance of the art of film.’ The BFI is clear about the need for film in formal education, and the need to overcome a skills ‘mismatch’ between what is provided by the education system and what is ultimately required by employers. Change, says the BFI, must come from collaboration between education and industry, with full support from government and the devolved administrations. The BFI is explicit in intent: ‘we will advocate for the value of film in education’. Advocacy for the ‘value’ of film, and the call for government support, echo the strategic aims of film education initiatives that stretch back over many years. For example, the BFI’s own publication, Making Movies Matter (BFI, 1999), The Charter for Media Literacy (Media Literacy Task Force, 2005), Impacts of Moving Image Education (Bazalgette, 2009), Film: 21st Century Literacy (UK Film Council, 2009), and Integrating Film into Education: Advocacy Report (Available Light Agency, 2012). The repeated aim to demonstrate value and achieve government recognition for film in education shows both a continued belief that this is needed, and a failure to meet this need effectively. Rewind almost 75 years, and it was the British government itself that advocated for ‘visual education’, aiming to demonstrate the ‘value’ of film to education by convincing teachers and pupils of its place in the classroom. In 1943, the Ministry of Education decided to sponsor the production of a group of films, specifically for secondary school pupils. The decision came after many years of discussion and debate, which began in earnest after publication of the Cinema Commission of Enquiry Report in 1925. The report claimed that film was most certainly educational, though stopped short of explaining exactly how. The Film in National Life published by the Commission on Educational and Cultural Films in 1932, later claimed that the educational ‘value’ of film lay in teaching children about ‘real life’, and that the documentary could bring this ‘reality’ into the classroom. Throughout the 1930s, there was further development of the link between film and education. The BFI Education Panel carried out some research, and produced a catalogue of 2,800 nonfiction films that could be considered useful for education. However, few of these were produced specifically for the classroom. This lack of appropriate films led in part to the government’s decision to sponsor a production programme for an education audience. In addition, the 1944 Education Act, with its tagline of ‘secondary education for all’, threatened an increase in class sizes that it was believed would be aided by screening films as a form of instruction; and an opportunity to pave the way for new forms of teaching through ‘visual education’. The Ministry of Education production programme was an ‘experiment’, in terms of the form, style and content of the material, but also in educational terms. The Ministry aimed to pilot the films in the classroom; develop specific teaching techniques for incorporating the films into the syllabus; gather feedback from teachers, pupils, His Majesty’s Inspectorate (HMI), and Local Education Authorities; and use the findings to inform future production of educational films. Piecing together the story of the Ministry’s film production programme through archival documents such as correspondence, minutes of meetings, film scripts and treatments, instructional handbooks and teaching resources, from The National Archives, Kew, and the films themselves, held at BFI, it is clear to see that the experiment was innovative and ambitious. The experiment was driven and overseen by Jacquetta Hawkes of the Ministry of Education Office of Special Inquiries and Reports, working closely with Helen de Mouilpied of the Central Office of Information, whose role was to assist in co-ordinating production. Along with the countless HMIs, education advisors, subject ‘experts’, composers, writers, teachers and other Local Authority and Government personnel, Hawkes also employed the services of a group of production companies. Many of these producers had been part of the pre-war Documentary Movement and later became integral to producing industrial and sponsored film in the 1950s and 1960s. Companies such as Basic Films, Realist, Films of Fact, and individuals such as R.K. Neilson-Baxter, Kay Mander, Peter Bradford and Basil Wright. After much to-ing and fro-ing, it was eventually decided that the Ministry would produce eight ‘visual units’, incorporating photographs, wall displays, teachers’ notes, film strips and some short, silent films to accompany the main, sound films. The selection of subject matter was seemingly arbitrary and based on the opinions of a long list of individuals from across the government departments, education and production sectors, with just one, agreed-upon principle: the films must all objectively convey real life and must, therefore, be nonfiction. The units were called, ‘Local Studies’, ‘Houses in History’, ‘The Beginning of History’, ‘Water Supply’, ‘Instruments of the Orchestra’, ‘The History of Writing’, ‘The Story of Printing’, and ‘England’s Wealth From Wool’. Production took over seven years and was beset with delays, contradictions, and, at times, conflict between the many contributors to the project. However, the visual units were finally complete in 1950, and audiences were asked for their feedback. There is much we can learn from the experiment, about today’s moving image literacy strategies. Response was mixed. There were positive comments from teachers that highlighted how the films had increased pupils’ interest and helped them retain information, and some enthusiasm from the pupils. One commented that it was, better than a boring lesson given by a teacher’. High praise indeed. However, there were others that felt the films were not really relevant to the syllabus, and many received negative feedback on the form and style. 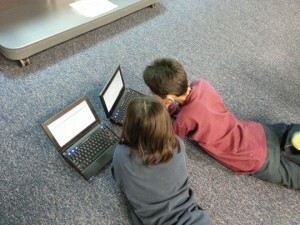 There was also concern about the very nature of introducing moving pictures into the classroom at all. The Headmistress of Lady Margaret High School in Cardiff warned against the, ‘mental torpor produced by regular cinema going’, while another teacher from a Secondary Modern raised the concern that, ‘to gather a class in a blacked-out room to see a film run through once or twice seemed to create an atmosphere of entertainment rather than of serious study’. Education is, after all, a very serious business. There is much to learn from the Ministry’s experiment. Not least that the concept of ‘value’ is loaded, and subject to political influence. The Ministry of Education film production experiment tells a tale of innovation and collaboration; a unique, pioneering programme that would bring film into schools. It also tells a salutary tale of the pitfalls of pinning film education to government objectives. In the intervening 74 years, government agendas have changed, but moving image media remain an essential form of expression, requiring specific skills, knowledge and competencies to be fully literate. While I too advocate for the value of film in education, I look forward to a time when we no longer feel the need to prove our value as educators, or that of film – as art, as culture, as history, as visual education or as twenty-first century literacy, or, dare we admit, as entertainment.